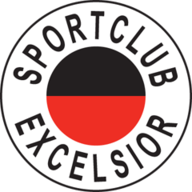 Match ends, Ajax 1, Excelsior 0. 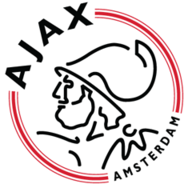 Second Half ends, Ajax 1, Excelsior 0. Attempt missed. Abdelhak Nouri (Ajax) right footed shot from outside the box is close, but misses to the right. Assisted by Vaclav Cerny. Henrico Drost (Excelsior) is shown the yellow card for a bad foul. Foul by Henrico Drost (Excelsior). Attempt missed. Hakim Ziyech (Ajax) left footed shot from outside the box is just a bit too high. Assisted by Abdelhak Nouri. Attempt saved. Lasse Schöne (Ajax) right footed shot from outside the box is saved in the bottom left corner. Assisted by Hakim Ziyech. Foul by Mike van Duinen (Excelsior). Attempt missed. Danilo Pantic (Excelsior) left footed shot from outside the box is close, but misses the top left corner. Assisted by Khalid Karami. Corner, Ajax. Conceded by Leeroy Owusu. Lasse Schöne (Ajax) wins a free kick in the attacking half. Foul by Kevin Vermeulen (Excelsior). Attempt missed. Abdelhak Nouri (Ajax) right footed shot from the centre of the box is just a bit too high. Assisted by Vaclav Cerny. Substitution, Excelsior. Kevin Vermeulen replaces Ryan Koolwijk. Substitution, Excelsior. Nigel Hasselbaink replaces Hicham Faik. Danilo Pantic (Excelsior) wins a free kick in the defensive half. Corner, Ajax. Conceded by Tom Muyters. Attempt saved. Vaclav Cerny (Ajax) left footed shot from the right side of the box is saved in the bottom right corner. Substitution, Ajax. Abdelhak Nouri replaces Amin Younes. Substitution, Ajax. Vaclav Cerny replaces Bertrand Traoré. Substitution, Excelsior. Stanley Elbers replaces Fredy Ribeiro. Attempt missed. Hakim Ziyech (Ajax) left footed shot from outside the box is just a bit too high from a direct free kick. Attempt saved. Kasper Dolberg (Ajax) left footed shot from the centre of the box is saved in the bottom left corner. Assisted by Mitchell Dijks. Offside, Excelsior. Danilo Pantic tries a through ball, but Ryan Koolwijk is caught offside. Attempt missed. Amin Younes (Ajax) right footed shot from the centre of the box is close, but misses to the left. Assisted by Davy Klaassen. Offside, Excelsior. Tom Muyters tries a through ball, but Mike van Duinen is caught offside. Attempt saved. Kasper Dolberg (Ajax) right footed shot from a difficult angle on the right is saved in the bottom right corner. Assisted by Hakim Ziyech. Attempt missed. Bertrand Traoré (Ajax) right footed shot from a difficult angle on the right is close, but misses to the right following a set piece situation. Penalty saved! Lasse Schöne (Ajax) fails to capitalise on this great opportunity, right footed shot saved in the bottom right corner. Penalty conceded by Jurgen Mattheij (Excelsior) after a foul in the penalty area. Bertrand Traoré (Ajax) wins a free kick on the right wing. Foul by Leeroy Owusu (Excelsior). Foul by Davinson Sánchez (Ajax). Danilo Pantic (Excelsior) wins a free kick in the attacking half. Corner, Excelsior. Conceded by André Onana. Attempt saved. Danilo Pantic (Excelsior) right footed shot from the left side of the box is saved in the top left corner. Assisted by Khalid Karami. Lasse Schöne (Ajax) hits the right post with a right footed shot from outside the box. Assisted by Mitchell Dijks. Goal! Ajax 1, Excelsior 0. Hakim Ziyech (Ajax) left footed shot from outside the box to the bottom right corner. Assisted by Kasper Dolberg with a headed pass. Foul by Danilo Pantic (Excelsior). Second Half begins Ajax 0, Excelsior 0. First Half ends, Ajax 0, Excelsior 0. Attempt saved. Mike van Duinen (Excelsior) right footed shot from the left side of the six yard box is saved in the bottom left corner. Assisted by Danilo Pantic. Attempt missed. Kasper Dolberg (Ajax) right footed shot from the right side of the box is just a bit too high. Assisted by Hakim Ziyech. Attempt saved. Davy Klaassen (Ajax) header from very close range is saved in the centre of the goal. Assisted by Lasse Schöne with a headed pass. Corner, Ajax. Conceded by Khalid Karami. Attempt saved. Hicham Faik (Excelsior) left footed shot from outside the box is saved in the bottom left corner. Attempt saved. Hakim Ziyech (Ajax) left footed shot from outside the box is saved in the bottom right corner. Assisted by Lasse Schöne. Attempt missed. Lasse Schöne (Ajax) right footed shot from outside the box is just a bit too high from a direct free kick. Corner, Excelsior. Conceded by Davinson Sánchez. Attempt blocked. Amin Younes (Ajax) right footed shot from outside the box is blocked. Assisted by Hakim Ziyech. Davinson Sánchez (Ajax) wins a free kick in the defensive half. Attempt missed. Hakim Ziyech (Ajax) right footed shot from outside the box misses to the left. Assisted by Kasper Dolberg. Attempt missed. Nick Viergever (Ajax) header from the right side of the six yard box is just a bit too high. Assisted by Hakim Ziyech with a cross following a corner. Corner, Ajax. Conceded by Henrico Drost. Attempt missed. Davy Klaassen (Ajax) header from the right side of the box is close, but misses to the right. Assisted by Lasse Schöne with a cross following a corner. Attempt saved. Bertrand Traoré (Ajax) left footed shot from the right side of the box is saved in the bottom left corner. Assisted by Lasse Schöne. Attempt missed. Kasper Dolberg (Ajax) left footed shot from the centre of the box is too high. Assisted by Hakim Ziyech. Attempt missed. Hakim Ziyech (Ajax) left footed shot from outside the box misses to the right. Jurgen Mattheij (Excelsior) wins a free kick on the right wing. Attempt missed. Mike van Duinen (Excelsior) right footed shot from outside the box misses to the left. Assisted by Khalid Karami.